Replacing windows and doors comes at different times for different people. Some include it in other home remodeling like siding or adding on – others save up and decide to do it in an effort to make their home more efficient and cost saving for the future. The latter is definitely the reason for Gwen, our recent customer. Gwen lives in a four family condo in Waukesha. She has a unique set of circumstances and is dealing with not only her own budget but the budget of the other 3 families that share the building with her. The first hurdle she had when shopping for windows and doors was to find something that would somewhat match what was there already so that each unit could replace the items on their own timeline and the new windows and doors wouldn’t stand out and look obviously different from the units that weren’t done yet. We all have concerns when it comes to allowing contractors onto our property and in our homes. Gwen was no different. She wondered if they would damage any of her drywall or woodwork or if they would clean up when they were done. When they got there, she was very happy with the crew. They listened to her concerns and even remembered everything from one day to the next. 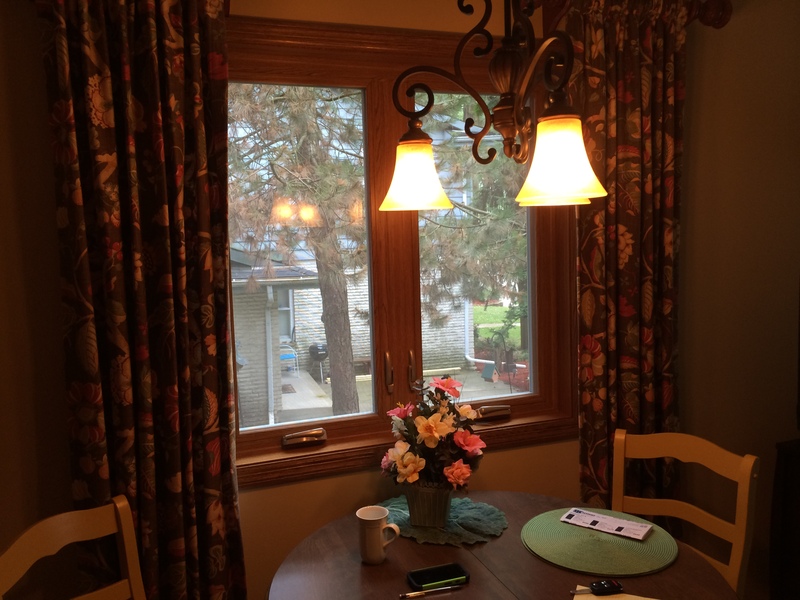 Everything was cleaned up, nothing was damaged and her new windows looked great. The real test is longevity and durability. She’s had her new windows and doors for about five years now and has had to call for service twice. First, All American came out and re-caulked. Recently, she called because her front door started sticking and getting hard to open. She needed to replace a pad in the door. All American mailed her a new pad and all was fixed. Overall, Gwen was incredibly happy with her windows and doors. She’s very glad about choosing All American and is even more happy with her choices in color and style. All American did a great job and she’ll be able to enjoy it for years. Next Post Condensation: What IS That?!?!? !